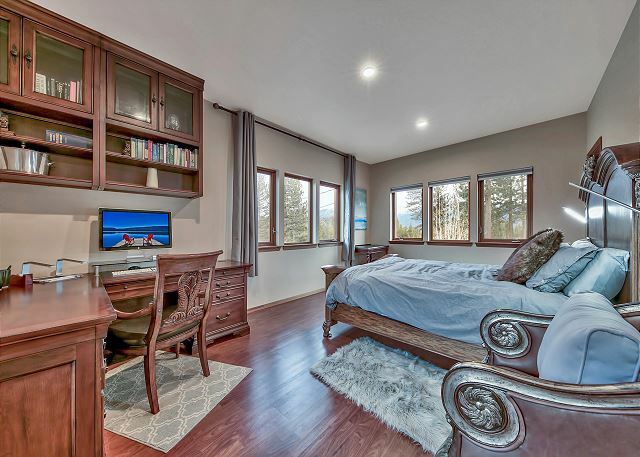 Mountain views, queen bed, desk area. Ski tuning equipment and ski/board storage area. 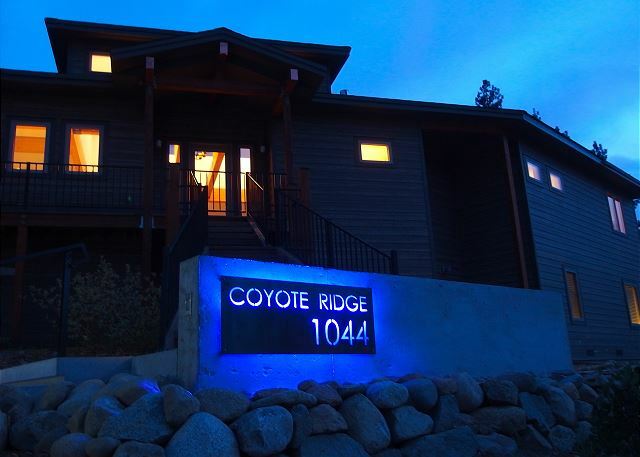 Coyote Ridge is a luxury mountain estate located and designed to deliver an unforgettable vacation experience. 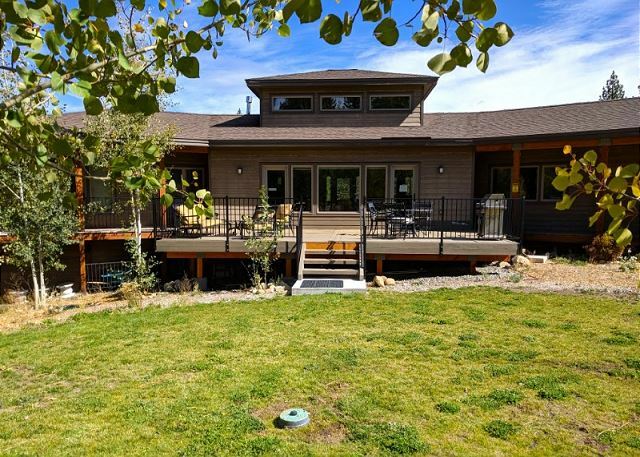 Enormous living areas, separate wings with space and privacy for all, a wow chef’s kitchen, elegant dining, open mountain views from all rooms, hi-tech home cinema, modern quality furnishings, D1 hot tub, and large decks leading to a 0.6 acre lot make it ideal base for family gatherings and extended stays. 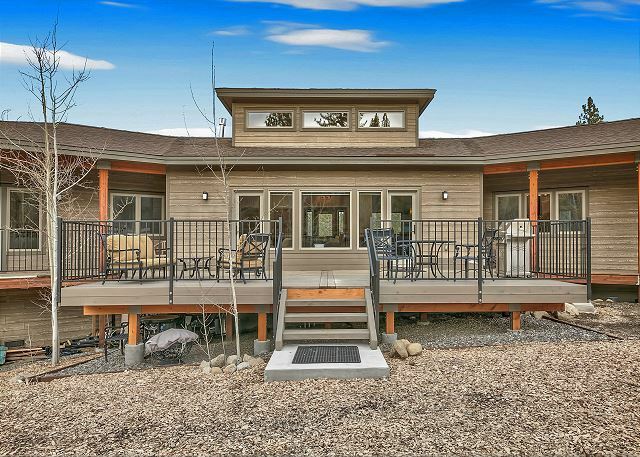 Close to all attractions just 3 miles west of the "Y". 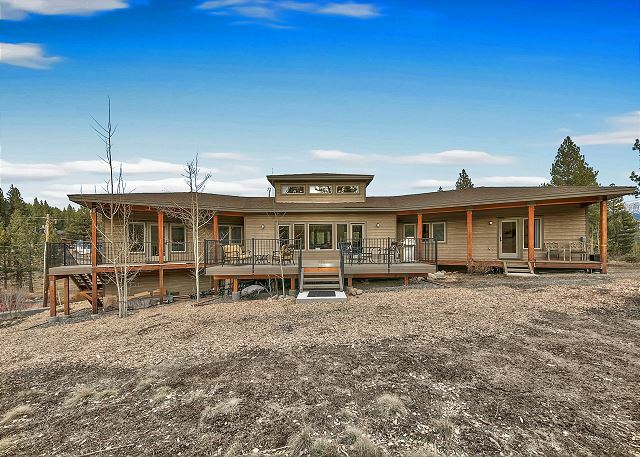 This architecturally commanding home on a single level has three wings set around a palatial great room. 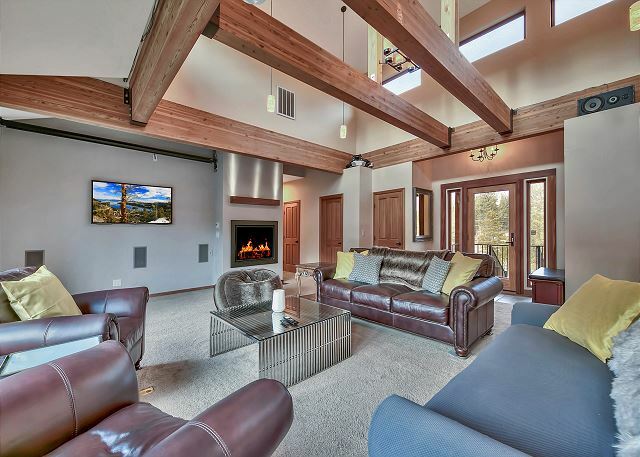 The living area has comfortable seating for everybody, an oversized modern gas fireplace, open beams and abundant natural light. 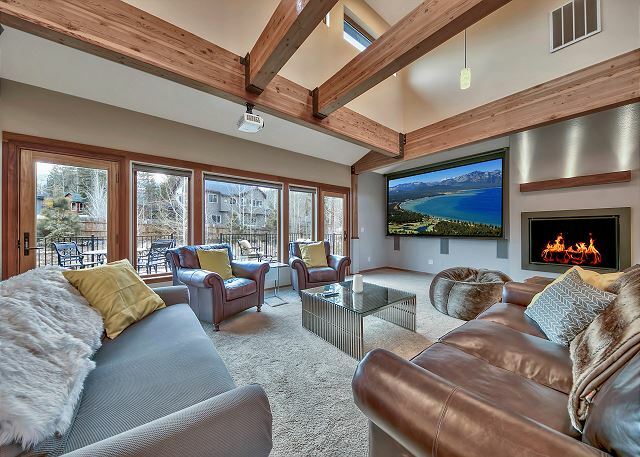 For entertainment there is a 55-inch flat screen 4K TV with full surround sound - or push a button to drop down a 125-inch projector screen for a family cinematic experience. 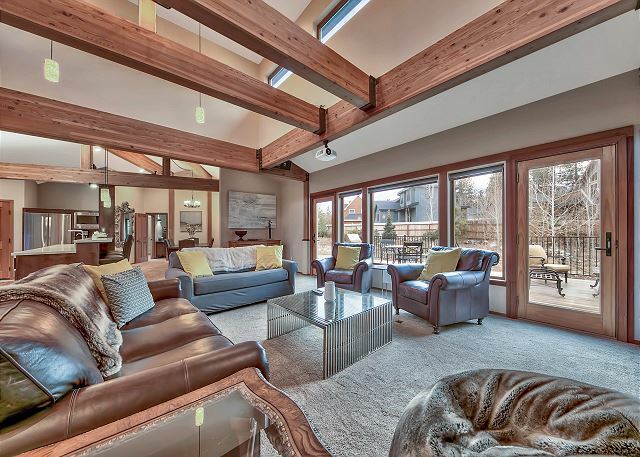 This home is thoughtfully set up to make it perfect for adults and children alike. 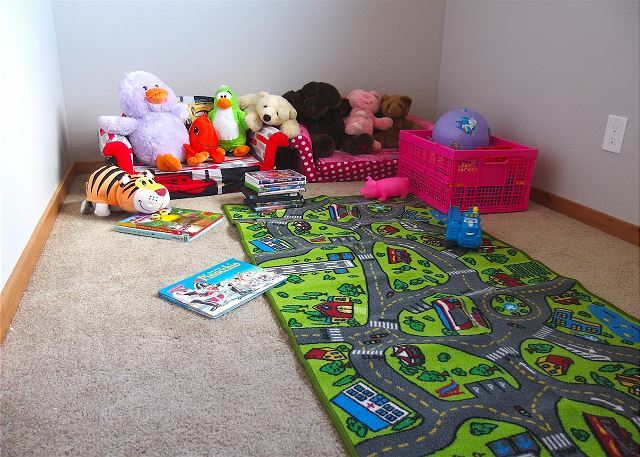 A kids bonus room features kids’ mini sofas, DVDs, and a collection of toys to make their stay more fun. 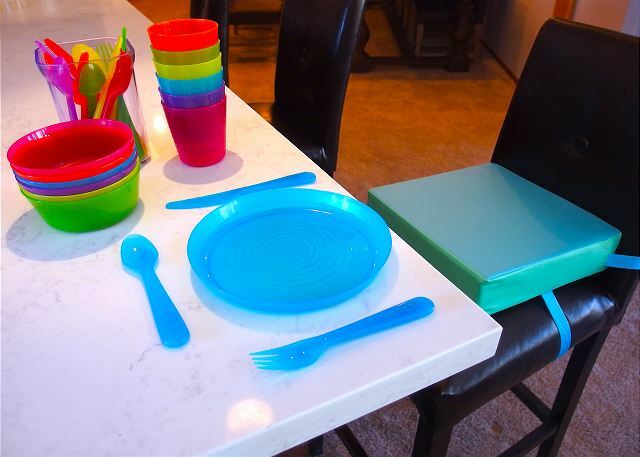 The home’s tableware includes children’s plates, bowls and mugs (BPA free) and a chair riser. 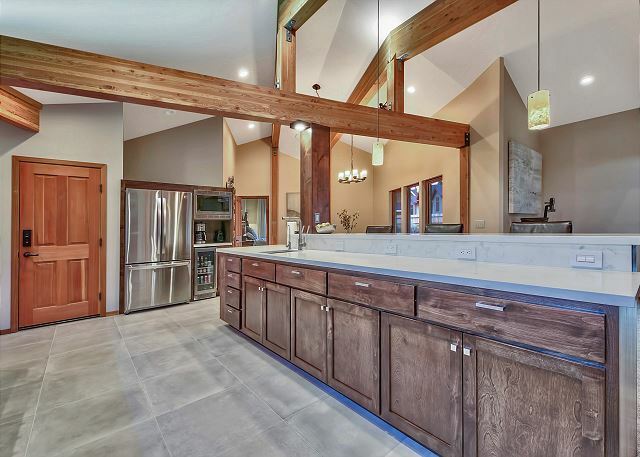 Coyote Ridge features a luxury chef’s kitchen with a Miele 6-burner gas range, dual stainless sinks, modern quartz countertops and a beer/wine refrigerator. There is a walk-in pantry and both filter and Nespresso pod coffee makers. The island bar seats 3. 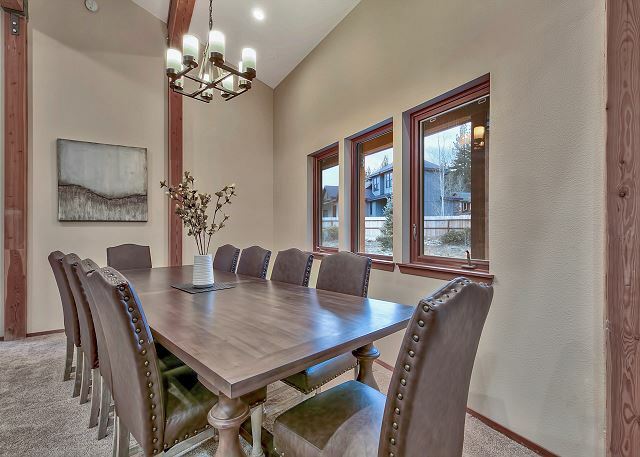 Right off the kitchen is the dining area with a vaulted ceiling and a grand dining table that seats 10. 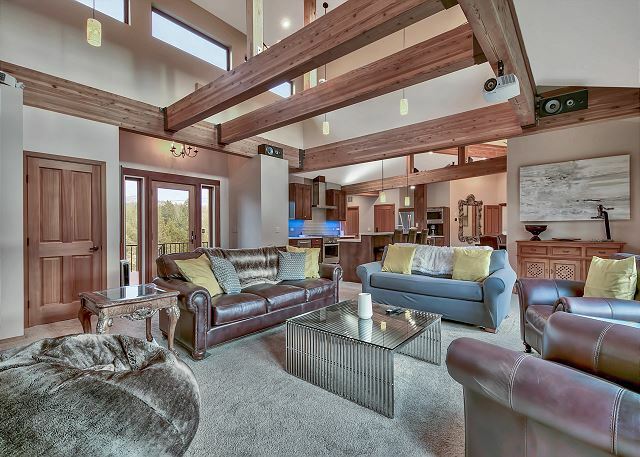 The wing off the living area to the left has the master suite and the wing to the front has a bedroom - both with views of Heavenly ski resort, Freel Peak and stunning sunrises. 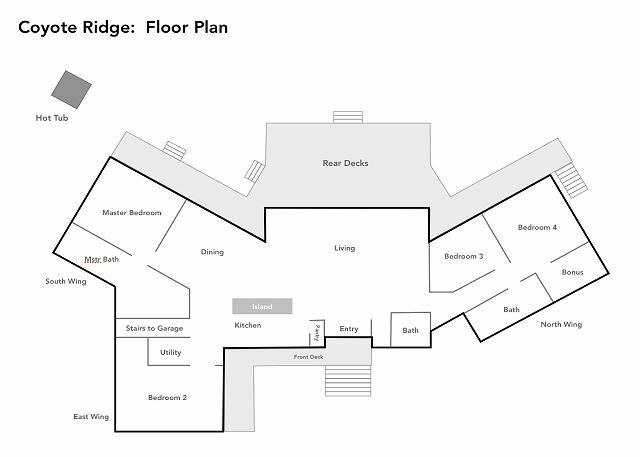 The North wing to the right of the central living area has two bedrooms and a full bath. 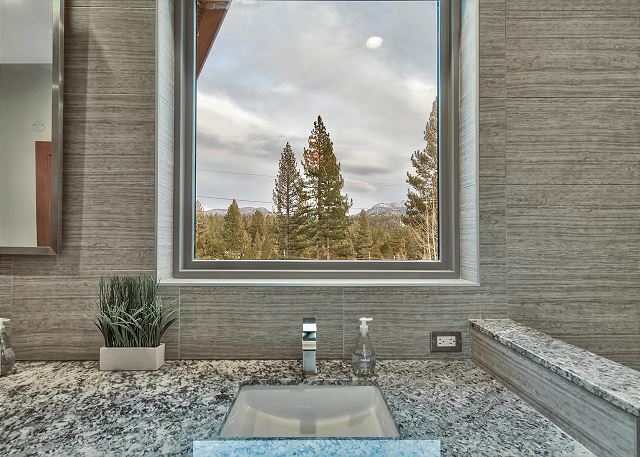 A half bath is directly off the living area. 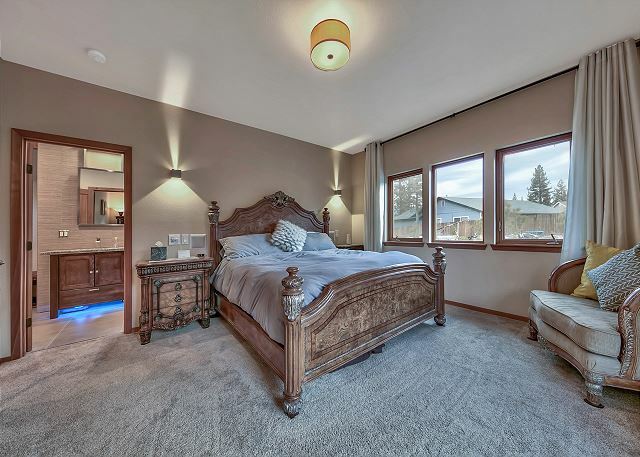 The spacious master suite has a king bed, direct access to the rear deck and a fully tiled custom master bath with mountain views from the luxurious walk in shower. 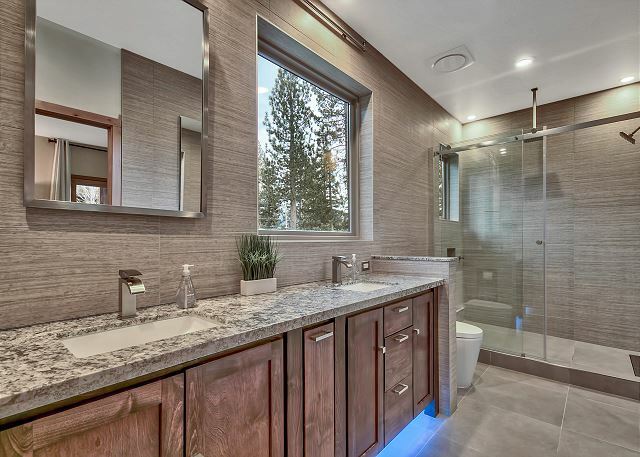 The master suite has its own bluetooth music system. Bedroom 2 at the front has a queen sized bed, walk-in, its own private deck area and a full desk with an Apple monitor and keyboard - should you need to catch up on work. In the North wing, Bedroom 3 has a queen bed and walk-in. 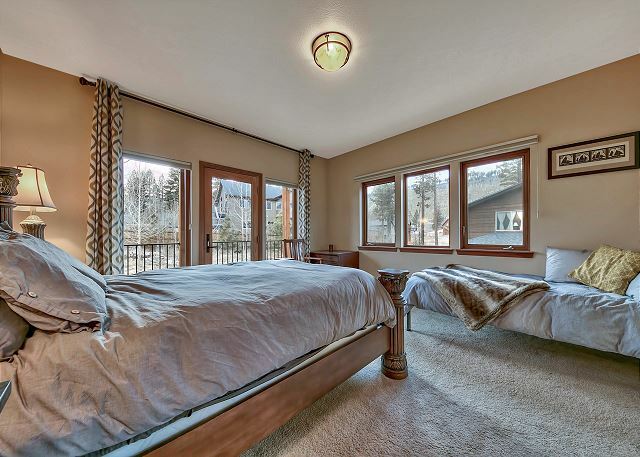 Bedroom 4 has a queen and two twin beds and direct access to the rear deck. All the beds have warm duvets and hotel-quality linens. 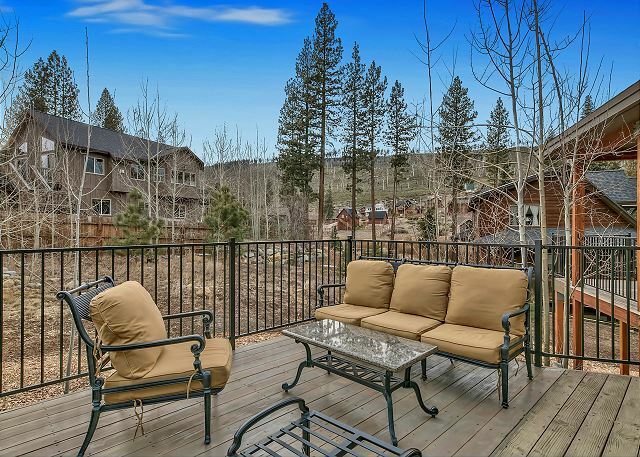 The expansive sunny rear deck features lounge and dining seating and a gas BBQ - perfect for enjoying Tahoe summers. 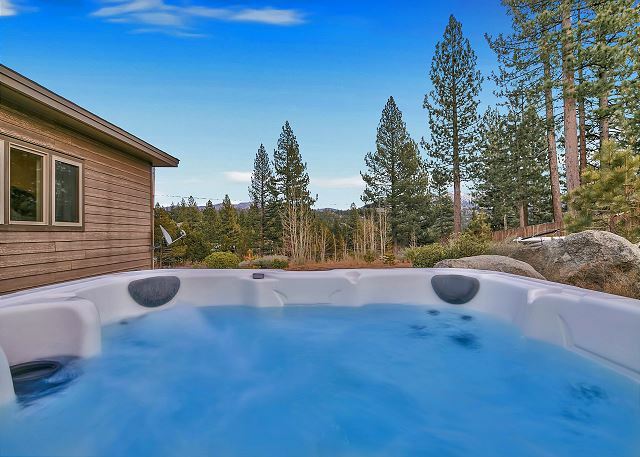 A high-end Dimension One hot tub for six is located at the side of the house for mountain views and wide starry skies. 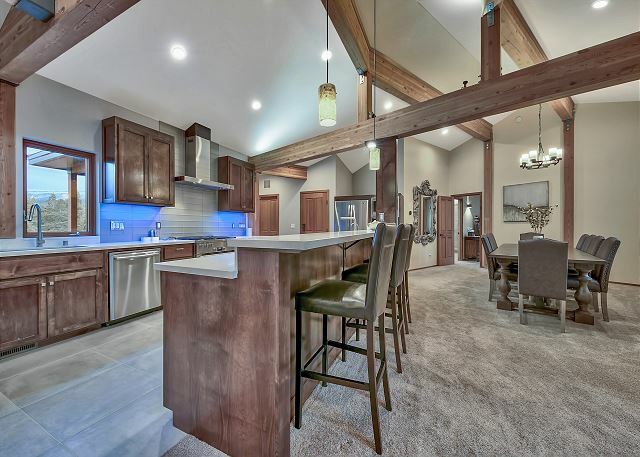 Coyote Ridge is a smart home with many features including Alexa control of lights, thermostat and music. High speed Wifi is throughout the house as are USB charging points. The entertainment system provides access to Amazon FireTV, Netflix, and a blu-ray DVD player. It is set up so you can easily connect your own streaming devices and gaming systems via an HDMI port. The utility room has a full size washer and dryer. 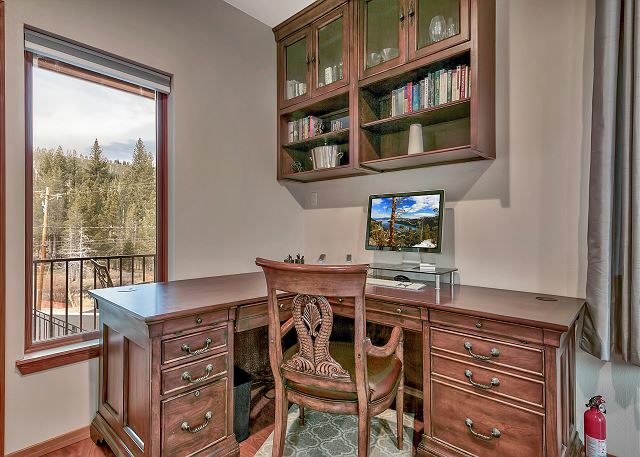 In the double garage are racks and a tuning station for your skis/snowboards. 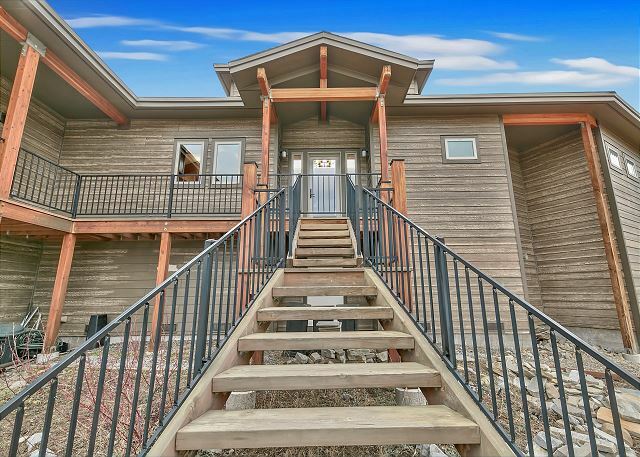 This property has video security cameras operating on the driveway and front entry steps. 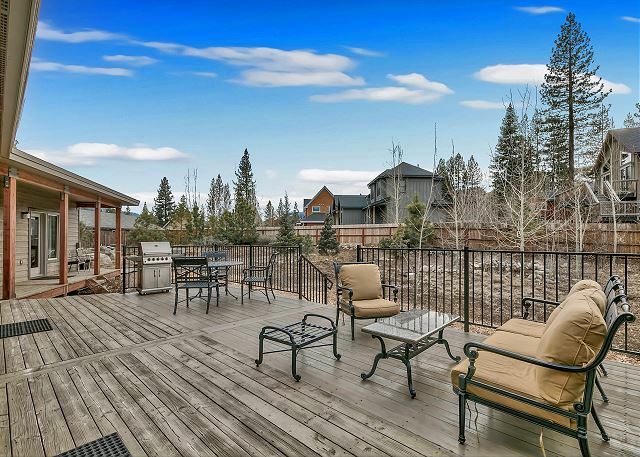 Coyote Ridge is located in Mountain View Estates, a quiet neighborhood of mostly new homes. 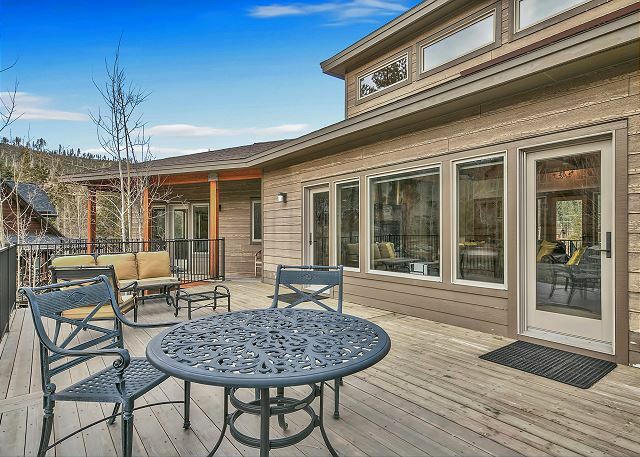 It is just 3 miles from the “Y” which has excellent shopping and two of the best breweries in town. 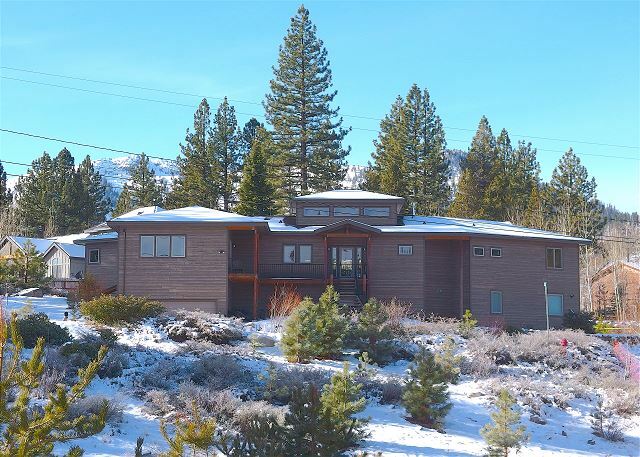 Heavenly Ski Resort and the casinos are a short 15 minute drive. 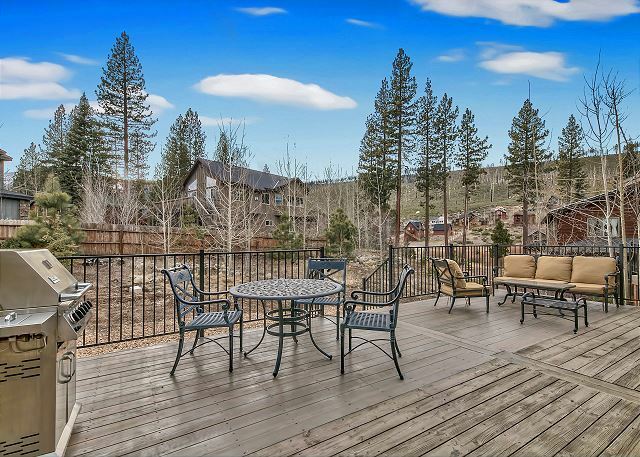 Angora Ridge, Tahoe Mountain and Washoe Meadows State Park are right on your doorstep offering great mountain biking and hiking trails, while kids can fish in nearby Sawmill Pond. A short drive or bike ride over the ridge gets you to Fallen Leaf Lake, Lake Tahoe’s west coast beaches and Emerald Bay. Home does not have air conditioning. Thank you, we are so glad you enjoyed your stay and we hope you stay with us again. Thank you! 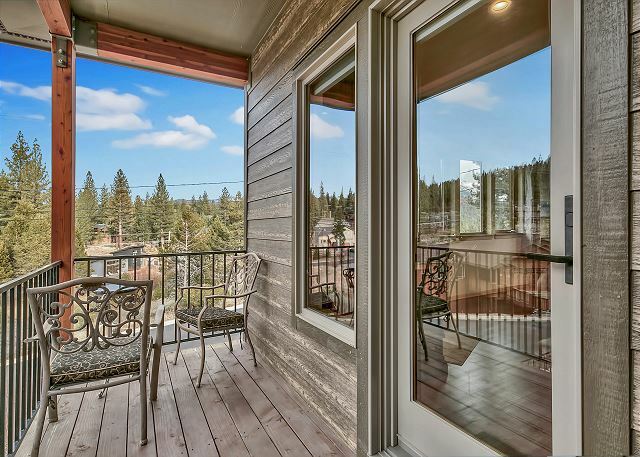 We hope you visit Tahoe again and stay with us. 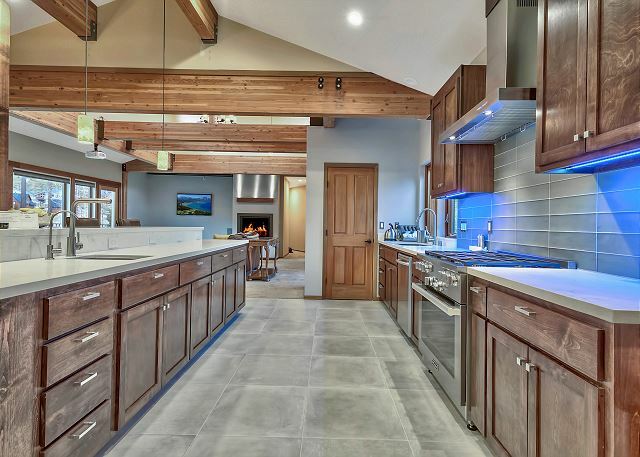 This is a beautiful house with many cool tech devices and modern kitchen appliances. Also, need to mention really good room layout. We had a couple of babies that slept during day time without noise interfering from other kids. Check in and checkout instructions were easy and simple to follow. Overall, the home is perfect for us. 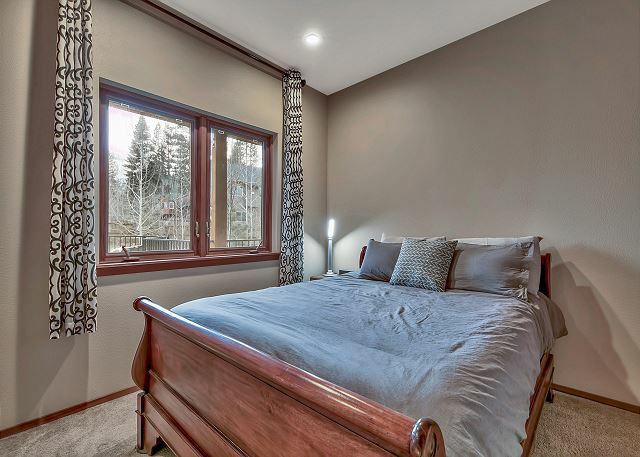 It was spacious, and well laid out with bedrooms on the ends and the main living space in the center. We appreciated the property management allowing us an earlier arrival, we were coming from Montana, Utah, Nevada, and California. 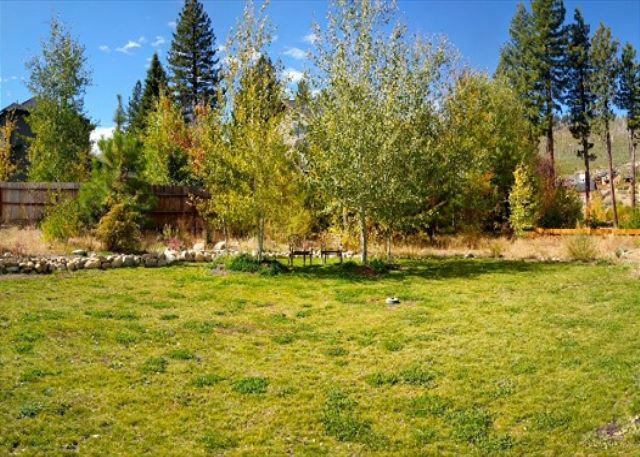 The surrounding yard on the property was below satisfaction. Nothing but weeds. One of the guest was a horticulturalist and she was very dissatisfied and felt that the property should and needs some major attention to. We spent a lot of time outdoors on the patio, so the outside should have some cleanup. 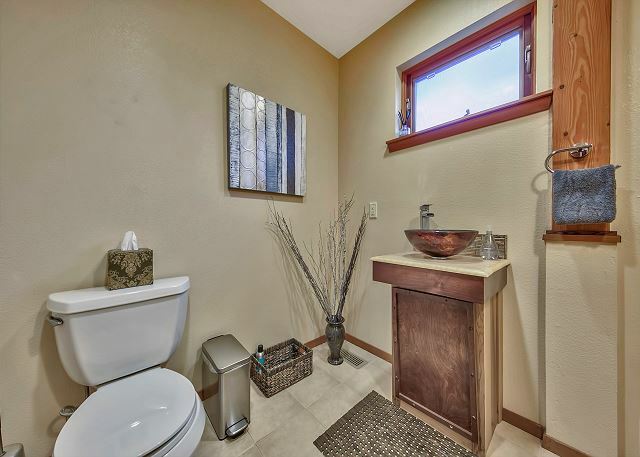 The properties location was on a quiet street but the photos on the website were a bit deceiving. 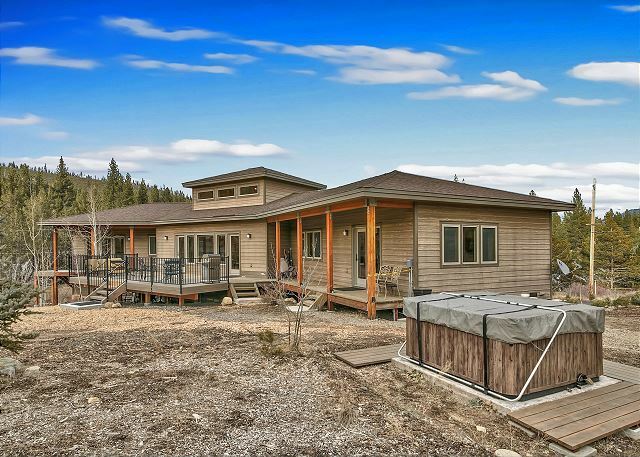 It seemed like it was more remote than in a subdivision. We came here with our family and kids and had a great time. 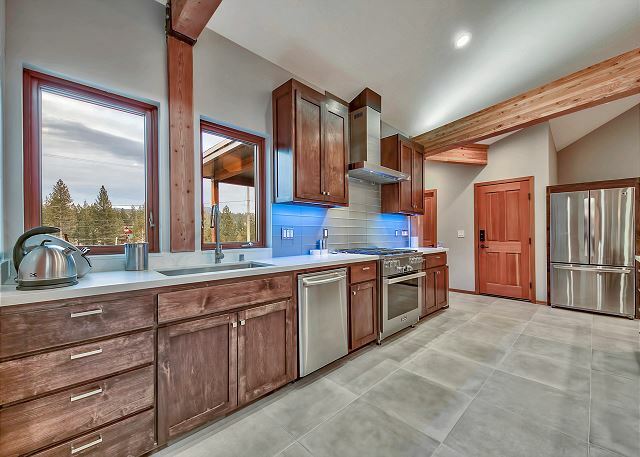 The house is very well maintained and the kitchen was awesome with everything you need!! 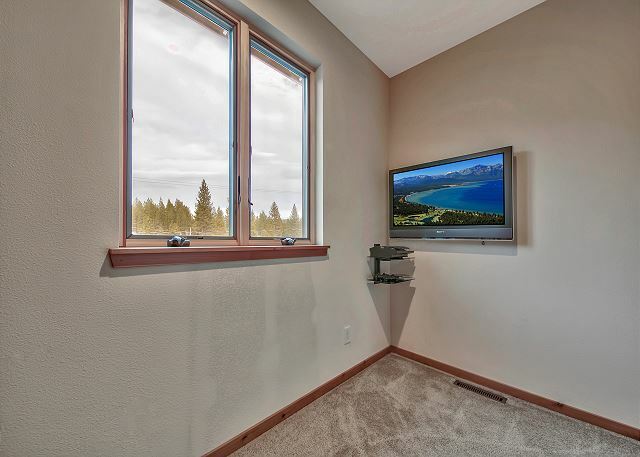 Kids and adults both loved the projection tv, cozy living room and the spa. 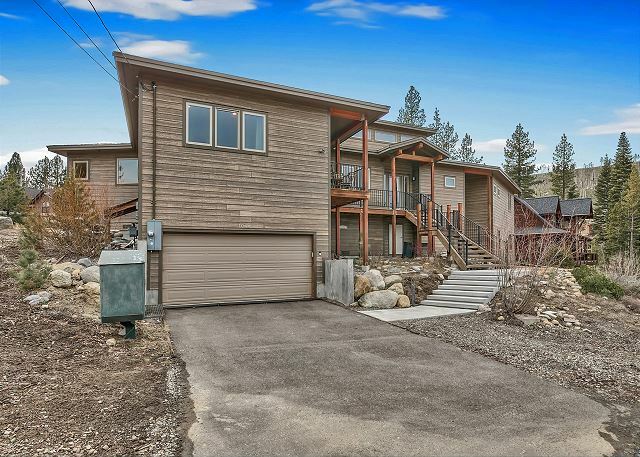 Great house for a large family or multiple couples. Would definitely come back again!! Thank you! This is a new home to our program and we are glad you had a good stay.